Veterinarians treat hundreds of pets each year for a wide variety of medical conditions. Most of the time these physical ailments fall within common parameters and involve standard treatment. However, every now and then a veterinarian is confronted with an especially unusual case. These cases may offer challenges, but they are usually quite interesting. Not long ago, at my practice in Port St. Lucie, Florida, a twenty-pound pug was brought into the clinic by concerned owners. The dog had been experiencing a lack of appetite and vomiting. Despite these problems, the little guy was alert and happy. We conducted routine laboratory diagnostics and the results were normal. We then took radiographs and were surprised by what we saw. This small dog had attempted to swallow a full pork chop bone and it was lodged in his esophagus at the entrance to the stomach. The bone could be removed in one of two ways. The first option would entail general surgery in which the abdomen and stomach would be opened and the bone removed. The second and less invasive option would entail retrieval of the bone via an endoscopy. Option number two, an endoscopy, was the preferred method as it would be much less stressful for the dog and less expensive for the owner, as well. Fortunately for this little fellow, we are one of the few veterinary hospitals in this region that has an endoscope. With the approval of the owners, we proceeded to anesthetize the patient and began retrieval attempts. The retrieval proved to be a challenge due to the fact that the bone was extremely slimy and difficult to grasp. However, persistence paid off and after several attempts, the bone was extracted. The successful endoscopy required much less “down time” than general surgery would have required and the dog was able to go home the same day. He did well with a short course of antibiotics and medications to speed healing and was soon back to normal. To this day, I still wonder how this dog was able to swallow that bone! Another case that comes to mind involved a cat that came to me with a swollen mouth. This poor cat was in a lot of pain with one side of his lower gum extremely inflamed and ulcerated. As one can imagine, he was none too happy when I was checking his mouth, but with a gentle examination I was able to glimpse an object that looked like the end of a twig, protruding from one side of his gum. The cat’s owner was very worried about his beloved pet and the decision was made to put the cat under anesthesia right away for a closer examination. The examination revealed that there was, indeed, some sort of foreign object embedded between the gum and the teeth, extending along the entire lower side of the cat’s jaw. I grasped the twig-like object with forceps and after gentle manipulation I was able to extract it. Much to my surprise, I discovered that it wasn’t a twig at all; in my forceps I held the leg of a cricket! The hook-like spines in the leg had anchored themselves to the gum and had worked their way into the skin. I repaired the oral lesions caused by the cricket leg and the cat was able to go home, feeling much better than when he arrived. Without the irritation caused by the cricket leg he made a speedy recovery. I imagine he’ll think twice next time he’s tempted to go after a cricket! Our pets are full of surprises, it seems. As veterinarians, we find these unusual cases to be interesting, but they serve as a reminder that we must be vigilant and keep a close eye on our precious pets to keep them safe and healthy. About the author, Enrique Borrego, D.V.M., has been practicing veterinary medicine in South Florida since 1986. He has served as the medical director and veterinarian for Animal General Hospital since 1991. In 2001 he built the current facility on Port St. Lucie Blvd. and dedicates his practice to the care and treatment of small animals. 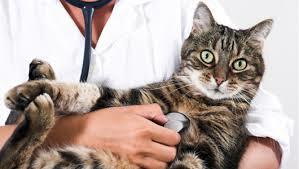 The Doctor encourages you to please feel free to visit the website at www.petsvet.com or call 772-344-8835 with your questions or for more information. HealthyMartin.com is designed to assist you in finding medical doctors, dentist and alternative, organic & holistic health in Martin County, St. Lucie, Indian River and the Palm Beaches. “Healthy Martin, working together for health choices for you, your family and friends”.